Hundreds of organizers, activists, leaders. Fighting for Justice. Teaching and learning. Building a movement. Skills. 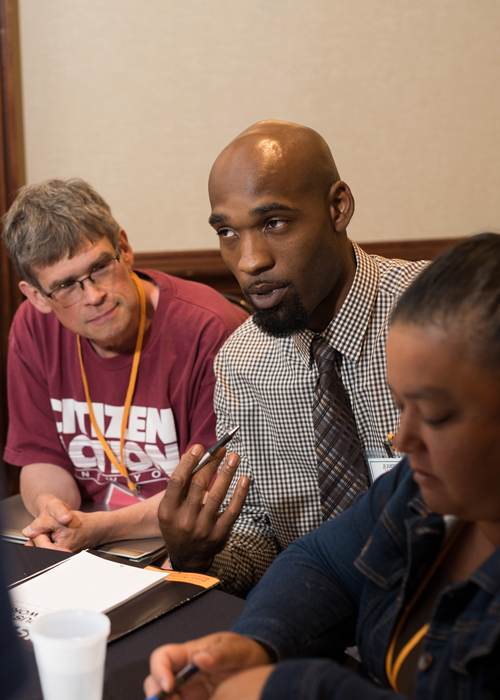 To make sure we’re ready for the long fight ahead, attend organizing skills workshops on topics like volunteer recruitment, using digital and social media tools, facilitating effective meetings, and having one-on-one conversations. Issues. 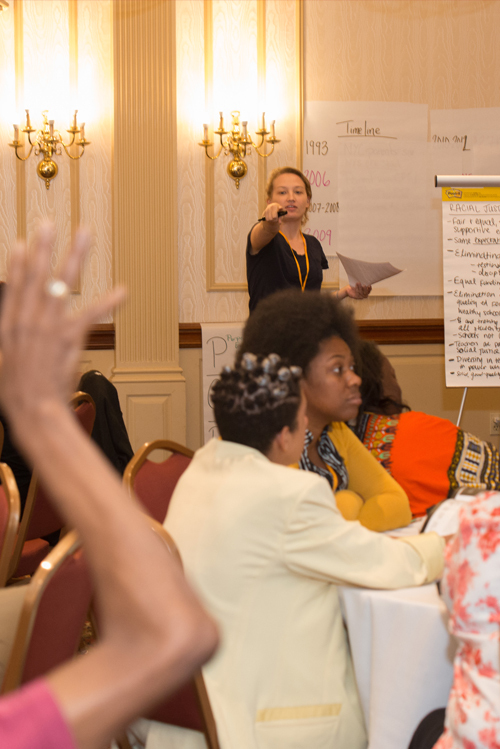 Get the chance to dive into policy and strategy for the hottest issue campaigns that are happening in our communities right now, including public education, criminal justice, health care for all, taxes and climate justice. Political Education. Racial justice. Economics for good. Democracy. Learn about how systems oppress people, think about what our world should look like, and strategize to create new systems built on justice. Learn about time-tested and cutting edge organizing tools and strategies to build a grassroots base of power for justice. World-renowned speakers will give you new perspective and ideas to take back to your community and change the world. More than 500 activists, organizers and leaders from across New York State will be at Justice Works. Share with each other. 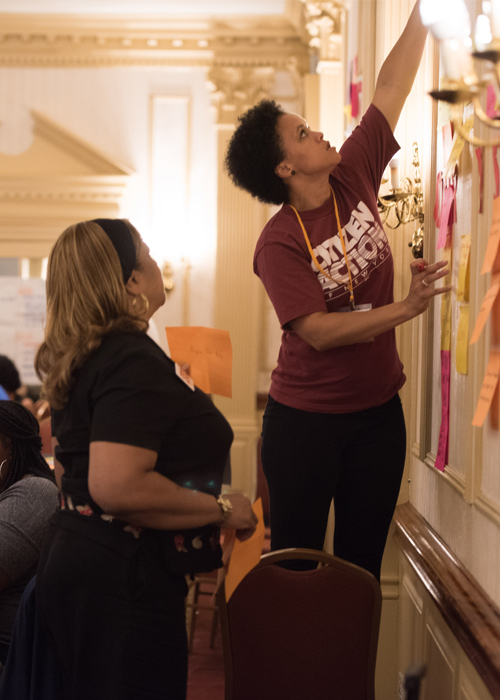 Over 100 organizations are represented, connecting to build common purpose and strategy. There’s never been a more urgent time to organize. This is a critical moment for our communities. Our families, friends and neighbors need protection. We will be there. We will resist. We come together and build a movement because this isn’t only about winning a campaign – it’s about creating a world built on justice. We live in a society that’s built on oppression. A very power few keep taking, leaving the rest of us to suffer. We are working to build a society that works for everyone. Sometimes the work gets tiring. That’s why I enjoy Justice Works so much. You meet people from all over the state who are doing great things. You learn about issues and develop skills. And you leave ready to fight again! Justice Works is the go-to event for the experienced and inexperienced. It is an event that provides vital tools and aids concerned citizens in breaking the turf for a brighter and stronger New York. 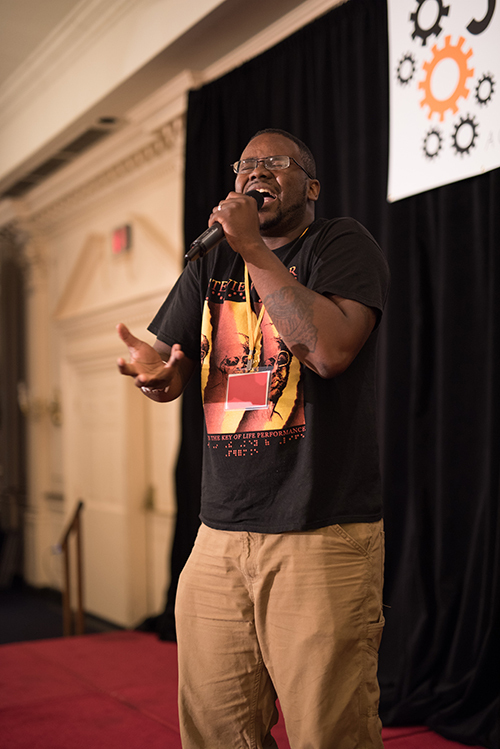 Justice Works is not only a family reunion of creative and innovative minds building a movement, but it’s opportunity that realigns my mind in order to organize for a world of justice and peace. 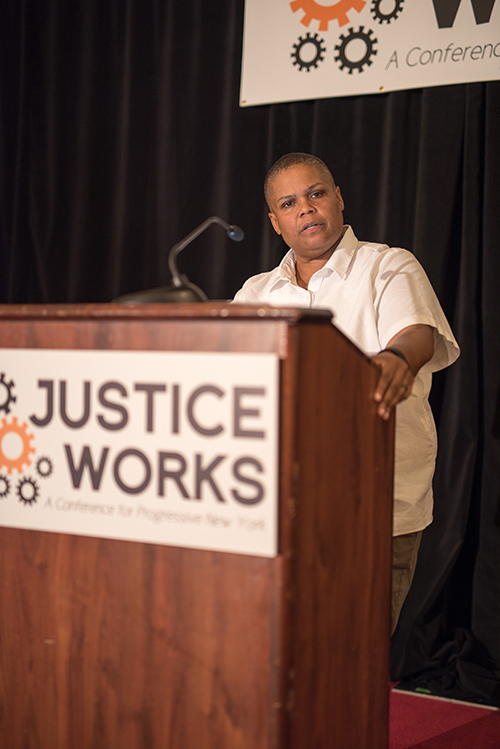 Justice Works is the top conference for New York progressives. You will leave with passion, organizing skills, and a renewed commitment to social justice. It is also a lot of fun and a great opportunity to meet people who share our values.